Home > How Much Does It Cost to Build a Hotel? How Much Does It Cost to Build a Hotel? As the hotel business continues to expand in response to the strong American economy, developers seek strategic opportunities to serve metropolitan and suburban areas. They do this by building hotels featuring the newest amenities, quality materials and the most cost-effective construction techniques. Understanding the cost to build a hotel in the chosen location is critical to project profitability. To understand what it takes to build a hotel, it helps to break down the costs into standard components. Costs vary based on location and how the land was acquired. Land can be purchased as direct market-based site acquisitions. Or, land may be available through inheritance or purchased long-ago. Developers typically assign the land a value as a percentage of the total budget. In 2018, this averages 14% for U.S. based hotel projects. Did you know that Brick-and-mortar costs predominate hotel development? And, they can vary widely based on the type and location of construction. For example, a limited-service hotel can range from a three-story wood-frame building to a Class A steel-frame high-rise in an urban setting. A high-end room might cost five times more to construct than a low-end room. Non-residential construction costs rose 5.1% for the 12 months ending on March 31, 2018. This increase is the highest since 2010. However, it is well below the peak rate of 10.6%. And, hard costs vary on average from 61% to 71% of total project costs. This depends on the hotel classification (from midscale to luxury). These costs cover non-construction fees. These include costs for engineering and architecture services, permits, financing taxes, insurance, entitlement, LEED certification and so forth. Sometimes, soft costs include post-construction expenses, including security and maintenance. Financing is usually the largest chunk of soft costs. These typically run about 2% to 4% of the project budget. Entitlement costs are higher in urban and environmentally sensitive settings. On average, soft costs account for 7% to 17% of the total project budget. Furniture, fixtures and equipment costs account for 8% to 12%, on average, of hotel construction projects. These costs include furniture for guest rooms and public spaces, bathroom fixtures, carpeting, kitchen and laundry equipment, and technology systems. Some projects might classify these as hard costs. These costs are mission-critical, but some projects exclude them from the development budget. Costs include inventory, operating supplies, pre-opening staff, pre-marketing and technical services. These costs represent 2% to 6% of the total project budget. Defining what constitutes the “average” hotel is problematic due to the large number of variables. Does the hotel have a conference facility, swimming pool, restaurant and/or gym? Is the lobby fancy or plain? Regardless of the large number of variables, average cost statistics are available. The average U.S. hotel requires about 48,000 square feet, and has 115 rooms of about 325 square feet. Rooms include a full bathroom and measure on average 13×25 feet. It’s important to remember the variability built into these averages. For example, an Upscale hotel costs much more to build in a major urban center than in a secondary market. Modular construction techniques have the potential to shorten construction time. This reduces costs towards more feasible levels. 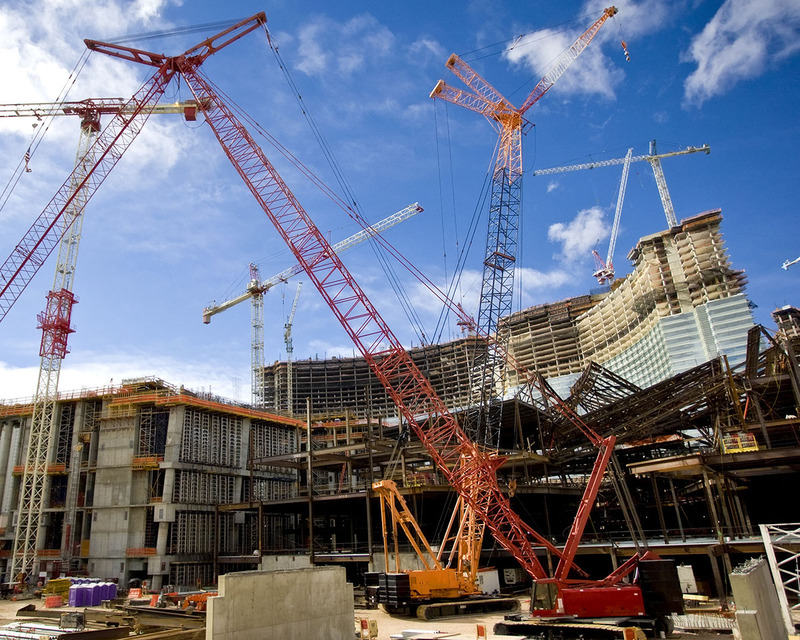 Of course, once all the costs are calculated, you will need to find the best hotel construction financing. When asking “how much does it cost to build a hotel?”, one cannot neglect risks imposed by negative environmental events. These events can include hurricanes and wildfires, that seem to be increasing in frequency and severity. And of course, the cost to build a hotel will skyrocket if the construction site is hit by hurricane. This is a fact of life in the hotel business. It increased hotel construction costs this year and last year. This happened at specific sites in the Southeast, including Florida, Georgia and the Carolinas. During a natural disaster, materials and labor become scarce and much more costly. How close is the impact area to the construction site? What is the current stage of construction? What percentage of construction materials have already been purchased? Certainly, the worst case occurs when the hurricane’s path passes directly over the construction site. But one must also consider secondary effects, such as destruction occurring in areas where construction materials are made or shipped. Florida, Texas and Louisiana ports are always busy shipping FF&E and other materials. When a port is disabled by a hurricane, delivery schedules are disrupted, and material prices increase. The construction costs rise across the country, not just in the Southeast. However, in some ways, a hotel under construction might recover from a natural disaster faster than an existing hotel that needs major repairs. For one thing, hotel construction sites already have labor and materials present. Whereas, existing hotels have to compete with residents for labor and materials. After a hurricane hits, materials such as roofing supplies, lumber and drywall are in top demand. Canadian and Californian wildfires caused lumber prices to spike across the country. A disaster-impacted hotel project that needs, say drywall, may have to pay extra for materials and shipping from distant warehouses. It can be difficult to create useful contingency plans that anticipate natural disasters. This is because each event is so unique. Nonetheless, developers are well-served to set aside significant contingency funds. This is especially true in regions that face the most environmental risks. Furthermore, construction projects can benefit if they are timed to complete before the start of the hurricane season. This is especially true in the South or the wildfire season in the West.